Thurston Central, the mixed-use development (400 homes) nearing completion at the foot of Loampit Vale, has confirmed that their commercial tenants will include an Asda supermarket and a 24/7 gym, run by The Gym Group. As a budget operator, The Gym Group will find itself in direct competition with Glassmill Leisure Centre on the opposite side of the road, but they clearly the recognise unmet local demand for gym space. 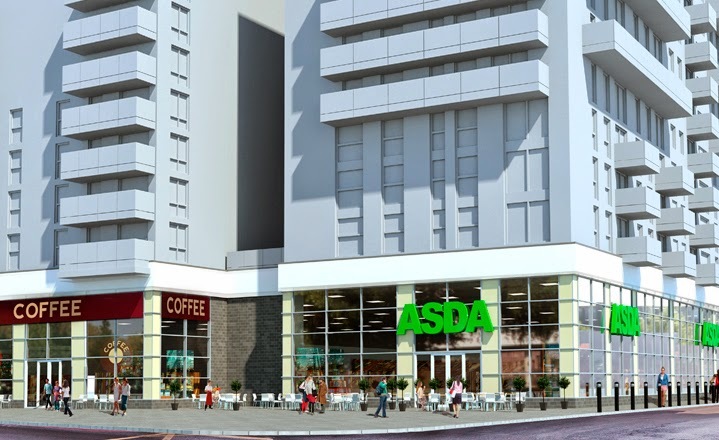 Asda still has plans to open a supermarket in Lee. The original scheme did not include food retail space and also looked considerably better in the renders. With the retail units at Renaissance still empty, it's encouraging to see the space go so quickly and while Lewisham is not short of supermarkets, this will make a pedestrian-friendly alternative to Tesco. Gutted. I thought b&q had been mentioned as the future tenant. Would have preferred it to Asda. Really? There's Tesco and Sainsbury's within 5 minutes walk as well as the Tesco garage almost opposite the site. B&Q has just announced a major store closure programme. For anyone living East of Ladywell towards Lewisham station this will be really welcome news. The TEsco garage is packed and has limited stock. Nowhere near to dash and grab some nice meat and stuff for the kids. Until Heckstall & Smith opens anyway! Surely Sainsbury's and M&S in the Riverdale Centre will be nearer, or at any rate no further? There's also a Tesco at the bottom of Lewisham High Street. Also, I'm genuinely surprised you expect Asda to have nice meat. Asda is owned by Walmart these days. Will it be a full size or "High Street" local Asda? Difficult to see from the rendition? I had heard it was going to be a new style high street click and collect Ikea, but that proposal obviously fell through. Which is a shame. I'm an ocado shopper normally but was really pleasantly surprised at price/value of Asda when I went in recently. By far the best high st supermarket IMO. Their Leith's stuff very nice as well (i don't work for them!) Sainsbury's and M&S in Lewisham both v ltd selection. "Asda is owned by Walmart these days." And? Walmart is not known as a flagship for high ethical standards. I'm not saying Asda's meat or anything else is poor, but I certainly wouldn't go there looking for outstanding quality. 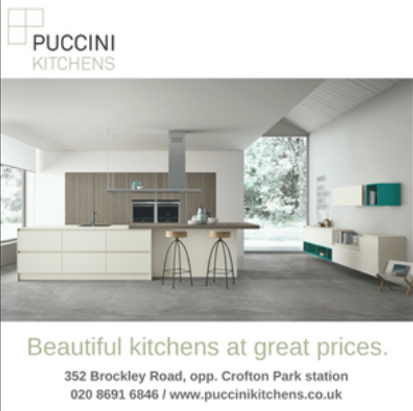 Lowish prices, yes, but can they rival Aldi/Lidl? When oh when are we going to get a Waitrose?! As a meat connoisseur! I can vouch that Asda's premium range of meat is far superior to sainsburys and tescos and cheaper to boot. Even Waitrose destined animals meet a bloody cruel end in the slaughterhouse at the end of the bolt gun and knife. If you're that fussed about ethical standards don't eat meat and get all high and mighty about your supermarkets. Wow, this is great news! Do you have any idea when this is planning to open, or are you just using the below source as a reference..? We've got one in Deptford. There is a sign posted on the board saying that Sainsbury's supermarket have applied for a spirit licence, so pretty sure they'll be moving in. The space looks quite big so it looks promising. So you don't want another supermarket but you do want an Aldi?